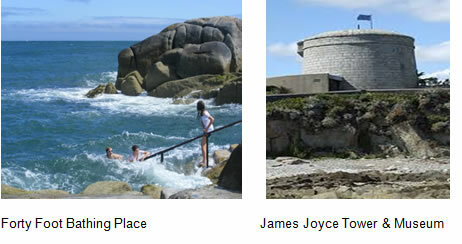 Dublin offers a variety of things to do for families and children. But there is so much more to do and see. 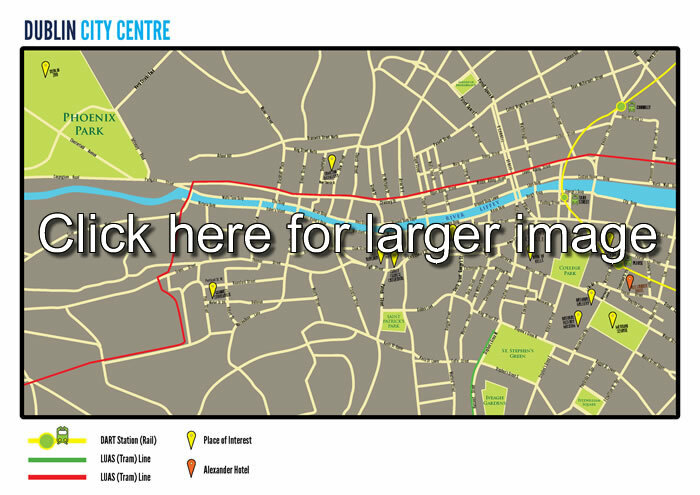 Here are some of our favourites highlighted on the map below! Many options are within walking distance of the Conference Hotel, The Alexander Hotel, while other tours and visits are accessible by Dublin Bus (many routes stop near the hotel) while a taxi rank is located at the hotel entrance. The DART (suburban train) is also nearby at Pearse Street Station which is ideal for accessing the wonderful coastal landscape of north and south Dublin. The ‘Hop on Hop off’ tour is the ideal way to investigate Dublin at your own pace and in your order of preference. You will visit all the major attractions in Dublin along the way such as Dublin Zoo, Trinity College, Guinness Storehouse…. Your 24 hour ticket will allow you to hop on and off the bus as often as you wish. 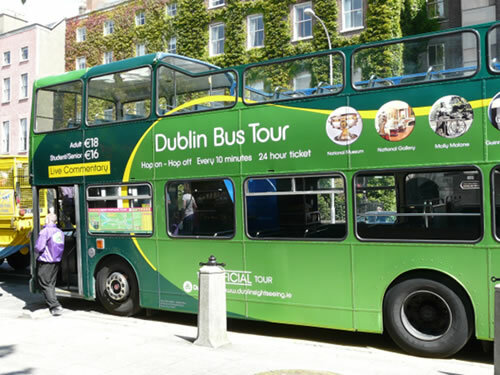 The tour operates daily from 9.00am and can be joined at any of 23 stops, each conveniently located near one of the most popular Dublin attractions. For example, you can join outside Trinity College, leave at the Guinness Storehouse (and sample the product!) and then re-join later. The biggest and most exciting development undertaken by Dublin Zoo in a number of years is the Sea Lion Cove opened in June 2015. The new saltwater habitat was inspired by the natural environment of the California sea lions and includes a state of the art water filtration plant. The most spectacular feature of the new habitat is a deep saltwater pool and viewing area that allows visitors to observe the sea lions swimming underwater through glass. Phoenix Park is located on the east of the city and accessible by Dublin bus from Pearse Street – routes no. 25 or no. 26. Alternatively take the luas red line (tram) from Connolly Station to Heuston Station and it is a short walk from Heuston to the main gates on Parkgate Steet. Viking Splash tours are a fun way of exploring Dublin – by land and by sea. Enjoy a 45 minute cruise along the River Liffey – a fun way to discover the city highlights. Merrion Square is a beautiful park within a few minutes’ walk of the conference hotel. Mapped out 250 years ago in 1762, it has fine Georgian Houses on three sides and the garden of Leinster House, the National Gallery and the Natural History Museum on the fourth. (The National Gallery and Natural History Museum are highly recommended too and admission to both is free). It is an ideal spot for a picnic and includes a wonderful playground for young children. The summer programme of musical and other open air lunch time performances is to be confirmed for July 2016. 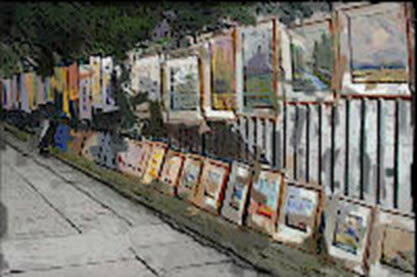 Note: On Sunday mornings from 10.00 – 18.30, an open air art gallery takes place where over 200 artists sell their own work and hang their art from the railings. 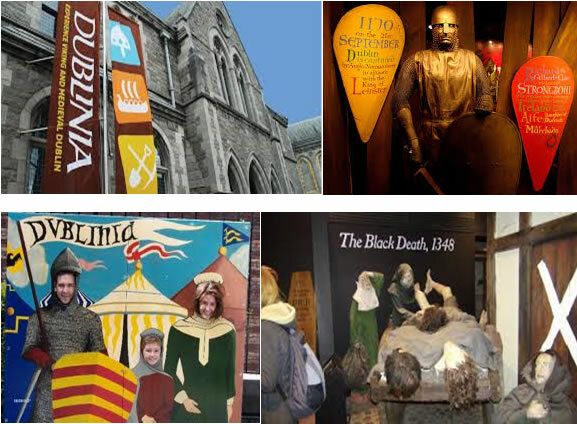 Dublinia is a unique Viking and Medieval Experience where history is brought to life in an exciting way for all to engage, learn and share. The exhibitions include: Viking Dublin Exhibition, Medieval Dublin Exhibition, History Hunters Exhibition (learn about archeology) and the 17th St. Michael’s Tower from where there are amazing views of the city. Note: Dublinia is located beside Christchurch Cathedral, Dublin’s oldest building and a place of pilgrimage for over 1000 years. 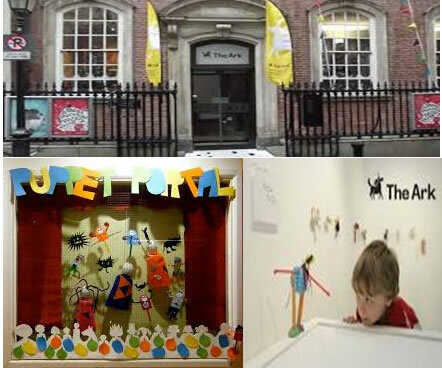 The Ark is a unique purpose built cultural centre in the heart of Dublin (Temple Bar) where children aged from 2 – 12 years can explore theatre, music, literature, art, film, dance and more. The programme of world class performances, exhibitions and creative workshops changes every few weeks – details for July 2016 to be confirmed. Prices vary depending on the programme and advance booking is recommended. A museum crossed with a gallery! 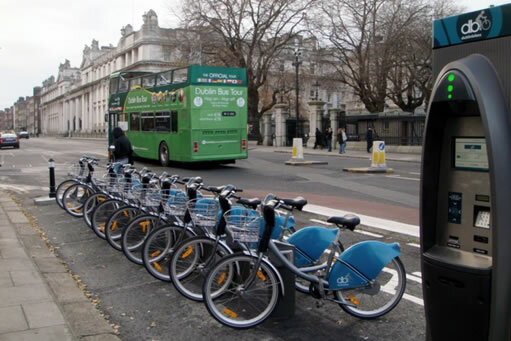 The bike stations are distributed throughout the city with the nearest location to the conference hotel located at Merrion Square. The Guinness Experience has been developed in a 1904-listed building in the St. James Gate Brewery, the home of Guinness. The first impression as guests enter the building is of walking into a large glass pint with light spilling down from above. Arthur Guinness’ original lease is enshrined on the floor. Visitors will discover what goes into making a pint of Guinness – the ingredients, the processes, the effort. The journey ends in the Gravity Bar on the top floor with a pint of Guinness and the best views in the city and of course a tasting! Guinness Storehouse was recently named as Europe’s best tourist attraction. Dublin is a vibrant capital city where city living thrives side by side with the natural outdoors. Here are some of our suggestions to explore the greater Dublin region and beyond. Take the DART (suburban train) from Pearse station heading northbound to Howth. At Howth station, descend into the bustling fishing village of Howth, renowned for it’s many seafood restaurants who serve up the catch of the day to hungry walkers! From the DART, there are 4 waking route options to Howth Head depending on your level - all sign-posted as soon as you disembark. Near the DART, you will find the wonderful Howth Market offering a wide selection of organic foods, but also Irish crafts, antiques etc. while less than 10 minutes away lies Howth Castle & gardens which you can visit, as well as the ruins of St. Mary’s Abbey. Take the DART (suburban train) from Pearse station heading southbound to Dun Laoghaire. To the south of Dublin lies the wonderful county of Wicklow with its mountains and wooded glens, often referred to as the “Garden of Ireland”. 08.50 The nearest pick up point to the Conference Hotel is at the Shelbourne Hotel on St. Stephen’s Green – less than 10 minutes’ walk. 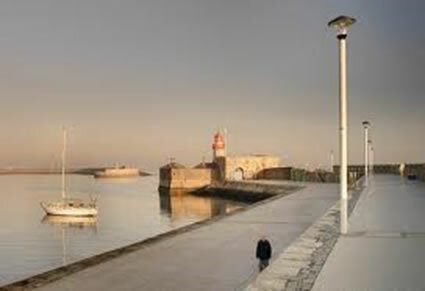 The tour will take you along the great sweep of Dublin Bay, past Dun Laoghaire's elegant promenade and yacht-filled harbour, to James Joyce's Tower at Sandycove. The sea views are unsurpassed. Morning coffee stop at Avoca Handweavers. The tour continues over the Sally Gap taking in Glencree, the bog and Lough Tay before arriving in Glendalough and the ‘valley of the two lakes’. Glendalough is home to one of the most important monastic sites in Ireland. This early Christian monastic settlement was founded by St. Kevin in the 6th century and from this developed the ‘Monastic City’. The ‘City’ consists of a number of monastic remains, and the most impressive being the Round Tower which stands 30m high. The main group of monastic buildings lies downstream near the Round Tower. The Boyne Valley is part of Ireland’s Ancient East region, an area rich in heritage and history and a designated UNESCO world heritage site. The Neolithic monuments are older than the Pyramids and Stone Henge. Tour highlights include Newgrange Passage Tomb, Monasterboice with it’s High Crosses and the Hill of Slane, associated with St. Patrick and the Hill of Tara, an ancient celtic ritual site. Pre-booking is essential as limited numbers are accepted to Newgrange each day. The tour will take a maximum of 14 persons at once. Private tours can also be arranged.